In recent times we are very much used to things being done within now and a few hours. Everything is possible and we expect it to be possible now. It is interesting to see how quickly we got used to the fact that we can order things via the internet and receive them even at the end of the day or at least tomorrow. We are not willing to accept delays anymore. A lot of new services and also complete businesses are based on this change of circumstances. What does that mean for us? Not only we are expecting things to be fixed within no time, also our clients and business contacts expect that from us. It puts a lot of performance pressure on us, but at the same time it is a chance as well. If we look at it optimistically the whole development provides us with the possibility to really make a difference again! Most of us are working in a business that has a lot of competition. Many companies are basically doing kind of the same thing. And of course we all can name a lot of differentiation factors to our direct competition. But in the end these are details that are not really seen by the broad audience. Something that is always recognized is speed – ideally in combination with quality. So being able to adapt to the recent expectation of our clients is one of the most important prerequisites for success in our times. Speed can be achieved by implementing efficient processes and using smart tools. Also dedicated employees and sophisticated workflows have a big impact. But most important for future success is that our business models are reviewed constantly in order to make sure that they are up to date with the recent development and future requirements. In many cases a whole new thinking is needed. Things that have been good until today may be old-fashioned tomorrow already. “We are not only measured by our speed of reaction. Being able to go with the speed of our time and create new business thinking according to that for the future is the real capability. An example: We see a company like Uber being disruptive to our taxicab markets. The reaction of many European countries is to find ways of proving that the business model is not legal and trying to destroy it. The main argument is that we need to protect the rights of our taxicab chauffeurs. But what are we actually talking about? At the same time we are busy with the first test drives of self-driving cars in many regions of the world. We are trying to protect a business that will be dead in ten years from now anyway! No one will even need a taxicab chauffeur anymore! 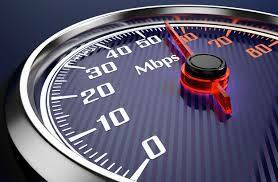 Speed of service is important for the success of our business today. But only speed of innovation which means being disruptive to our recent businesses will guarantee our future success. Dare to be disruptive on your own business rather than allow others to disrupt your future!